NEW CASTLE, PA – Portersville PRD, certified valve service and repair facility and leading provider of highly engineered, lifesaving valves and related products and solutions for the power, oil and gas industries, is proud to announce the expansion of its factory authorized manufacturer representation for the Bartec Heat Trace and Multi-Instruments product lines. 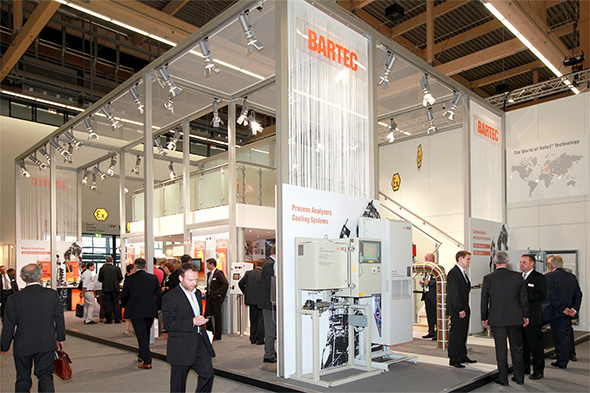 Bartec Heat Trace: Bartec’s global experience concerning products, engineering, and processes forms the basis for their innovative and economical heating systems for both general and hazardous area classifications. Providing a large selection of heating cables, (self-regulating, constant wattage, and mineral insulated) as well as pre-traced tube bundle, clients find themselves in a unique position of a having a wide variety of control system methodology to select from. Bartec’s state of the art industrial design software system and project management experts allows Portersville PRD to support our customer base with unparalleled resources, including trace and components inventory stocked at our various regional facilities. Multi-Instruments: Multi-Instruments is the ideal partner for the supply and design of manifolds, instrument valves, monoflanges, sunshades and electrical heated instrument housings and enclosure products. With decades of experience, Multi-Instruments is specialized in turn-key manifold assemblies, securing an easy onsite installation. Renown for possessing knowledge on many specific requirements and standards for end-users in the oil and gas, petrochemical, chemical and power industries, Multi-Instruments Engineering and Design groups makes ease of new projects and retrofits for their business partners worldwide. With the addition of these two globally established manufacturers to our product portfolio, Portersville PRD can offer turnkey, single sourced solutions to the instrument winterization industry. By coupling Multi-Instruments’ manifolds and enclosures with Bartec’s pre-traced and insulated tube bundle, Portersville PRD can supply a complete, integrated package that can be quickly installed in the field, eliminating any cutting or fitting onsite. For more information visit www.PortersvillePRD.com. A merging of Portersville Valve and PRD Technologies in 2013, Portersville PRD is a certified valve service and repair facility and leading provider of highly engineered, lifesaving valves and related products and solutions for the power, oil and gas industries. With facilities in New Castle Pennsylvania, Tallmadge and South Point Ohio, Blountville Tennessee, Eastpointe Michigan and Rochester New York, Portersville PRD is recognized for its engineering and technical experience and focus on solving the most difficult industry challenges. A merging of Portersville Valve and PRD Technologies in 2013, Portersville PRD is a certified valve service and repair facility and leading provider of highly engineered, lifesaving valves and related products and solutions for the power, oil and gas industries.